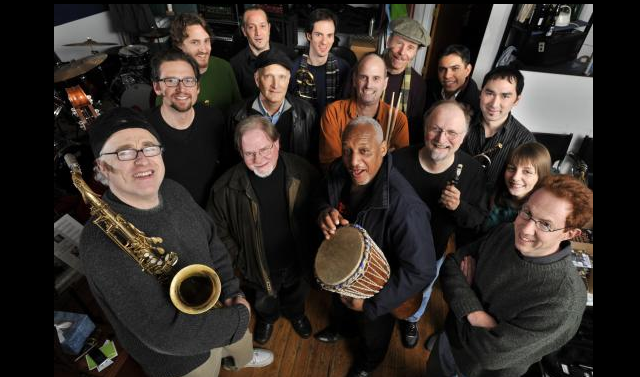 New York (TADIAS) – Either/Orchestra, the Boston-based jazz band that popularized Ethiopian music in the United States through collaboration with legends such as Mulatu Astatke, Mahmoud Ahmed, Alemayehu Eshete, Teshome Mitiku and saxophonist Getatchew Mekurya, will celebrate its 25th anniversary at Le Poisson Rouge in New York City on February 11. “The show at Le Poisson Rouge will be a special occasion, the spirited union of several generations of musicians, ranging from 20 to 56 in age, from all over the U.S. and Latin America, who collectively make up the ongoing endeavor known as the Either/Orchestra,” the band said in a press release. February 11, from 7 to 10 pm.